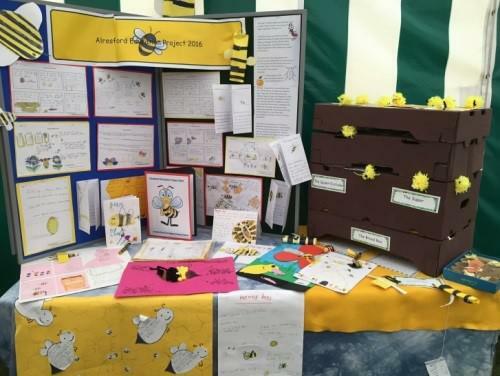 Last year, as part of the Alresford and district Countryside project, Year 2 created a fantastic nature project on Bees, looking at their habitats, tasting and looking at different types of honey as well as making posters to encourage the conservation of bees in the wild. We are very proud to announce that Year 2 won the Infant category and have a beautiful new trophy on display. What a good start to the year.